With the cold weather drawing in and the decorations going up, Christmas is most definitely on the way. Here are some fantastic seasonal color palettes from our friends at Colourlovers.com to provide some much-needed festive inspiration for your creative projects. 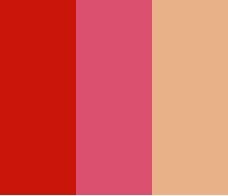 If any of the following palettes give you a creative lift, do be sure to spread a little holiday spirit and contact their creators.